Yesterday the Greccio Fraternity had our monthly meeting (secular Franciscan gathering) and I confessed to our spiritual director, Brother Joe (soon to be Father Joe! Yay! ), that I felt I had failed at my Lenten fasting. Again. He remarked that usually when we pick something to do for Lent God usually has something else for us to do. He asked me~ was I listening to what God was saying to me? Defeated I shrugged, “I dunno.” Then during the meeting I had an epiphany… I was thinking about how I had missed every Friday night’s stations of the cross at our church… and I thought, hey! There are 14 more days of Lent and 14 stations! I could meditate on a station a day! GENIUS!! Thank you Lord! As an adult, sometimes I discriminate against others. Even without thinking, I judge others because of their color, intelligence, income level or name. I forget that I am to live as a brother or sister to all people. Sometimes I use harsh words when I speak to my children and family members. I can find it easy to look for something that isn’t very important and make it very important. 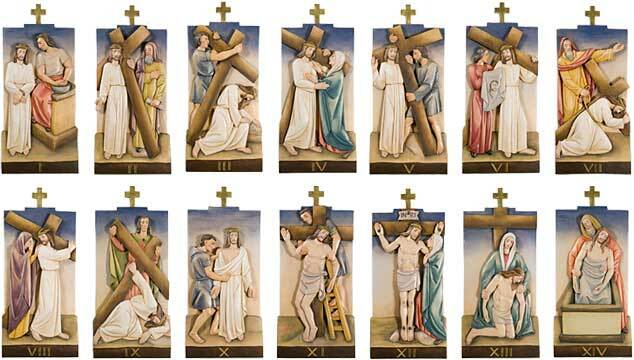 Image of Twelfth Station: Jesus dies on the cross Leader: We adore you, O Christ, and we praise you. 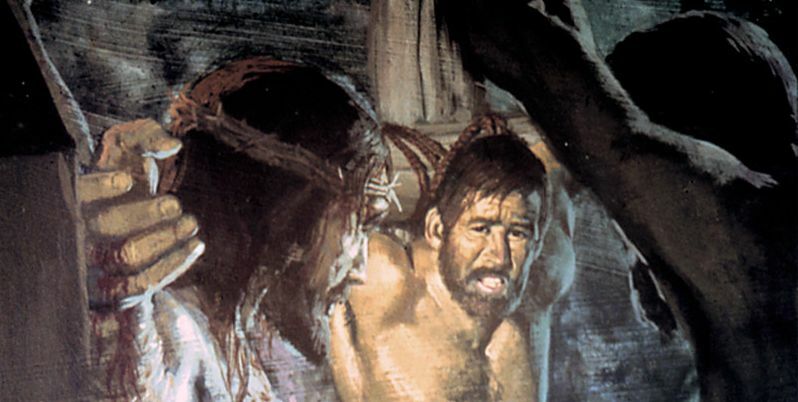 Jesus, how brutally you were put to death. How gently you’re are taken from the cross. Your suffering and pain are ended, and you are put in the lap of your mother. The dirt and blood are wiped away. You are treated with love. ….on the cross. Lectio Divina with Luke 23: 32-43… yes I put myself, crucified myself, next to Him on the cross. I am the penitent thief; the one Jesus tells will be with Him in paradise. Go back… walk with Him… There we are. We wait. 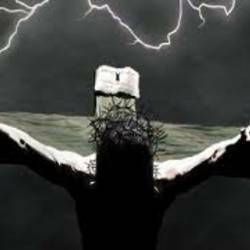 I have been given just punishment, to be crucified for my sins, for being a thief and for all my other crimes. I have done many horrible things in my life. My friend, the other thief, the one who always talked me into stealing and hurting others, he stands there scowling at everyone, angry that he was caught, at our sentence. We are given our heavy crosses to carry through the streets to our death. There are three of us. My friend is in front, then a man named Jesus, then I bring up the rear. I watch Him, the man, so curious, so weak, beaten to a bloody mess, He can hardly carry His own cross. He falls many times and they mock and they beat Him. He is so bloody that he no longer looks like a man; it is horrifying to watch how they treat Him. His eyes are so bright, lights shining from his mutilated blood-soaked face. 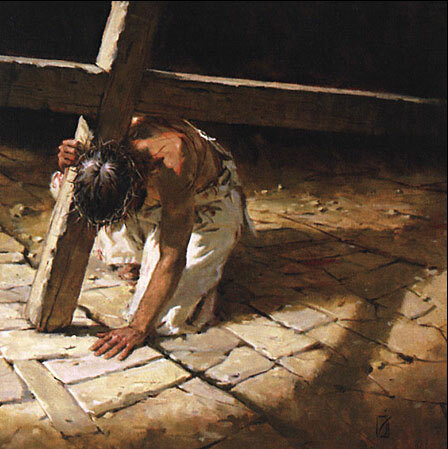 When I stop to ponder Him and His suffering they beat me too, whip me, hit me, shove me, and swear at me to move on, to carry my cross. I know who he is. I had seen Him teaching and preaching in the streets and towns. I had seen Him cure many of diseases and drive demons out of the possessed. I saw the look of gratitude on the faces of those he helped and healed. He even looked at me once, eye to eye, while the crowds surrounded Him. He looked right at me, into me. I could even hear Him speaking to me, to my heart, without words, “Follow me.” That look, so loving and kind, I wanted to go to Him, but my friend, the other thief, laughed at the sight of the crowds and pulled me away, whispering in my ear the next ‘hit’ and the next ‘score.’ For a moment I almost went to Him. My friend yanked me away and the moment passed. Now here I am, walking along with this great man- the messiah- for I know deep in my heart He is the One. Tears pour from my eyes as I watch Him struggle along beaten by words and whips. I cannot keep my eyes off of Him. And then it dawns on me…. I am finally following Him. The last stretch, up the hill to our death. They have gotten another man to help Jesus, but He still struggles to just walk. He looks back at me and nods. At the top of the hill I look out at the city below, my life. Here it ends. 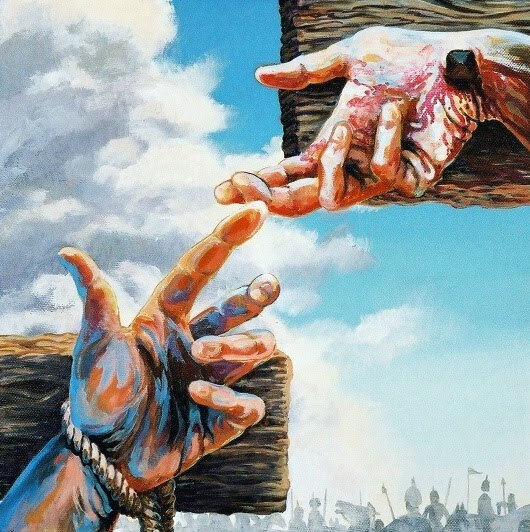 Then I am shoved down upon my cross, arms and legs pulled taut and then I am nailed to the wood. The pain is excruciating, unbearable, I can hardly breathe. As He dies it is as if the whole world holds its breath. The hush, the calm, and then… the earth quakes, the lightning flashes and the thunder cracks terrifying all the people on the hill. 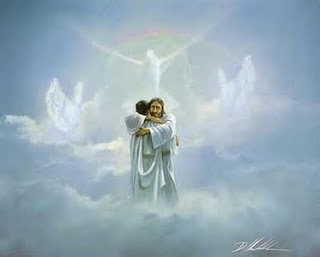 They look to the lifeless body of Jesus and consider for a moment… maybe He is….. Cold rain falls on me, the heavens weep and I am cleansed, my sins lift up off of me. The soldiers are told to break the legs of those crucified. I watch as they break my friend’s legs. He cries out and I watch him die. They come to Jesus and see that he is already dead and move to me. With large mallets and empty eyes they swing and crack, break my legs. Oh the pain! I can no longer lift myself to breath and I suffocate. As it all fades, as the light goes out of my life… I see Him step down from a cloud, all in white, and lift me whole and unblemished from my cross.